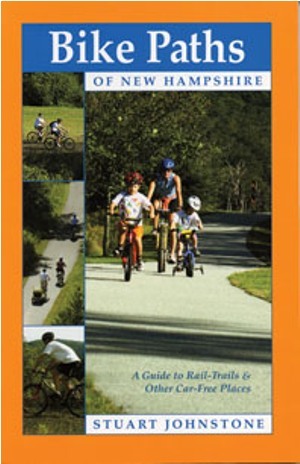 Bike Paths of New Hampshire, by Stuart Johnstone, 2008. Descriptions, maps and photos for over 30 car-free bike paths, with notes on scenery and other features. 192 pp., 5 1/2" x 8 1/2'.